Will a Late Spring Frost Damage Your Trees? It seems to happen without fail that we’ll enjoy the spring weather, but then winter will present us with one last freeze right when we thought it was all over. A dip in temperature isn’t just a shock for us; our trees feel it too. Will a late spring frost damage your tree? Lock in soil moisture by mulching your tree. Mulch will also provide nutrients for the tree’s new leaves. Prune out dead stems if there are any. Keep track of the weather so you can stay ahead of any future temperature drops. If you notice another temperature drop is approaching, you can water your tree the night before or cover it with burlap (or a different breathable material) if it’s small enough. How does frost damage trees? A drastic change in the weather can cause stress to trees. 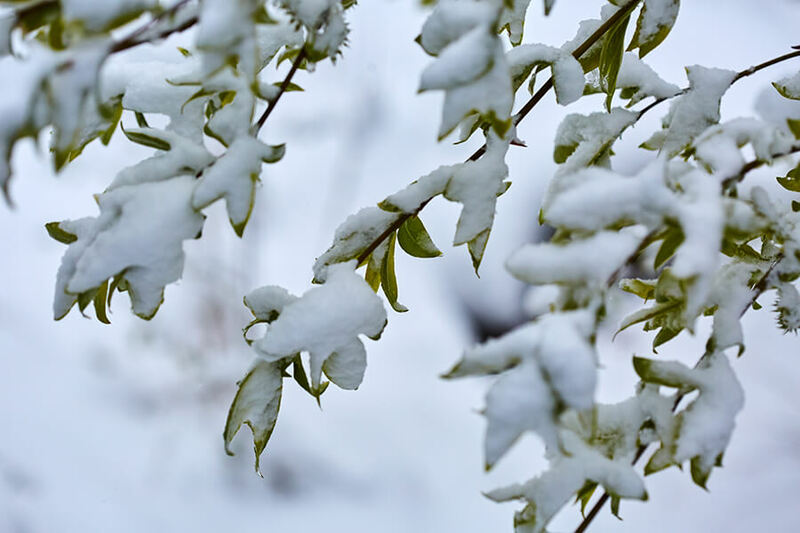 If your tree had new growth when spring arrived, the blooms can be damaged when the temperature drops suddenly. Not to worry though – many trees will sprout again later in the season. Trees that may have a hard time sprouting again are fruit and flowering trees, however. How do I know if my tree has been damaged from frost? Generally speaking, you will notice any new growth your tree made will turn brown a few days after the freeze. Frost damage affects differently depending on your tree type, so your tree may show different signs of frost damage than other trees. We offer inspections and provide treatments for trees, just contact us at (866) 313-2333. Nancy Penrose is owner of Big Trees Inc. (http://www.bigtreesupply.com), (tree nursery Snohomish, WA), one of the largest Seattle tree nurserys, specializing in large trees for sale and transplanting tree service. Learn more about tree preservation at http://bigtreesupply.com/tree-care-maintenance/ and for more tips on tree care or installation go to nurserytrees.net. See our video at https://www.youtube.com/watch?v=AEP1vudflm0 and connect with us on Facebook at https://www.facebook.com/pages/Big-Trees-Inc/193731105108.